As you all know Vday is soon! And it so happen that I have stumbled across this super amazing YouTube video on nail art- Vday themed! 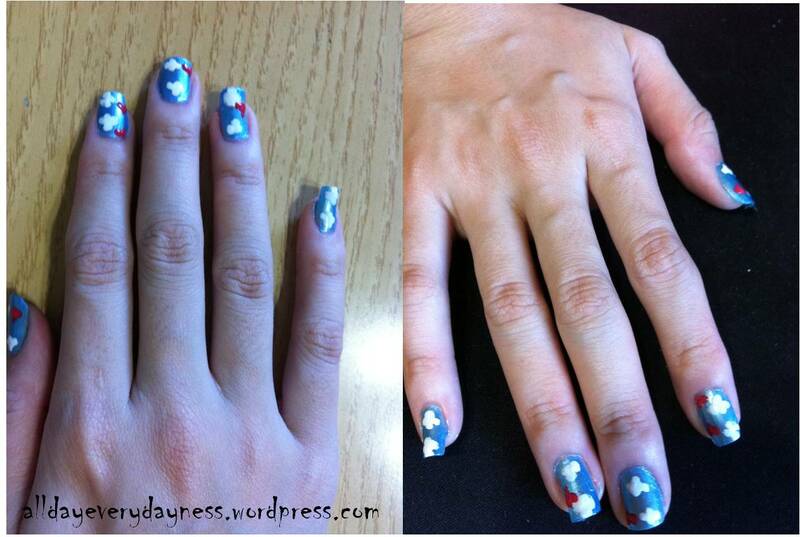 Watching the video made the whole process of doing the nail art seem really simple- ain’t it always the case. -.- It ALWAYS seem super easy; but sadly when we are doing doing the hands on ourselves it’s always otherwise. In the video, she used a dotting tool, so if you don’t have 1; fret not- using a toothpick or a bobby pin is just good enough. So basically you start off with the base coat. Since the name of the nail design is ‘I’m On Cloud 9’, so it’s self-explanatory that we should start off with blue base coat for the sky right? 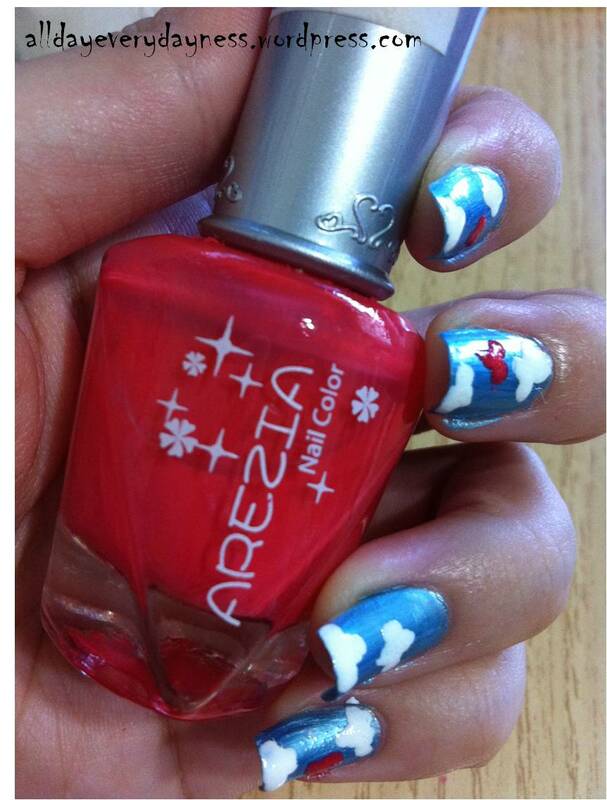 If you have cute sky blue polish; then it’s just perfect! As I do not have 1; I replaced it with my metallic blue Eleanor polish. 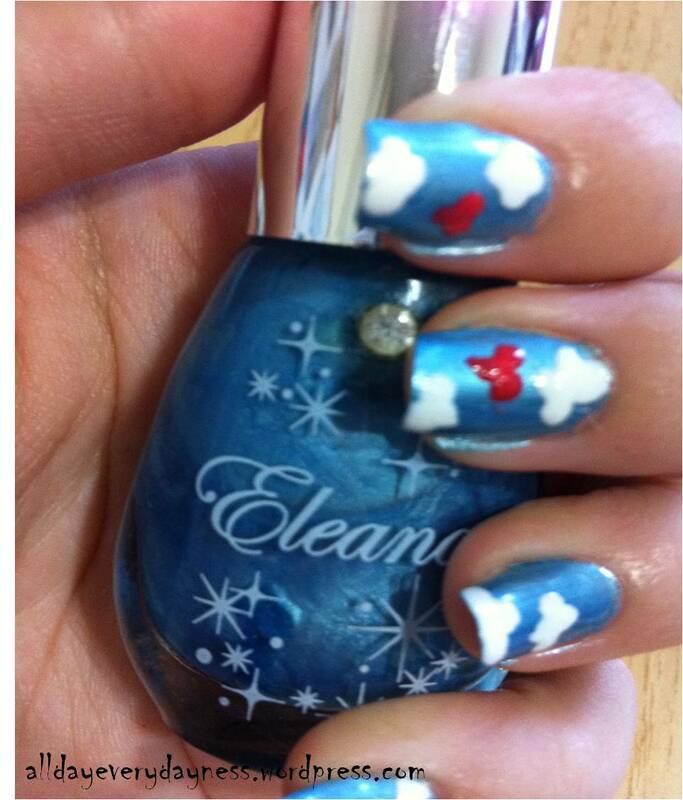 After the base coat; it’s time for the cloud design with white Eleanor polish! 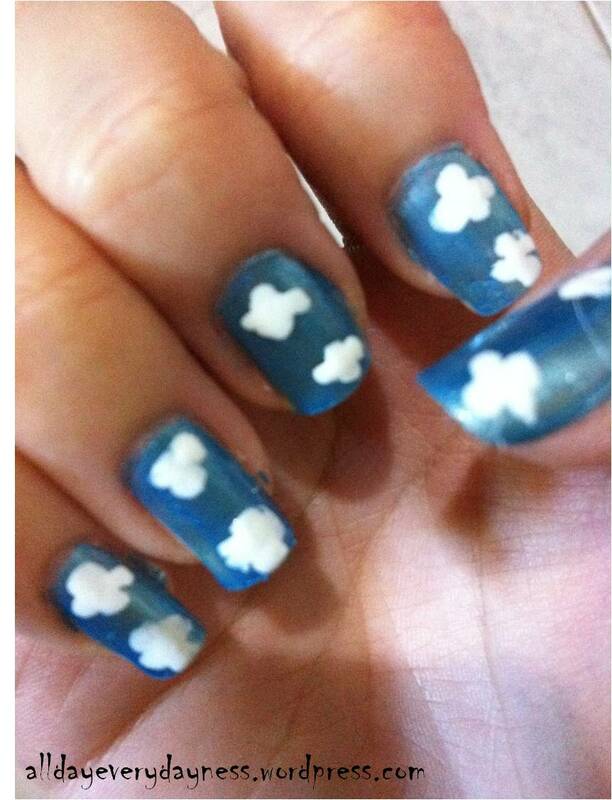 The number of clouds on each nail is to your preference. For me; I like to have 2 clouds- not too little not too many. But make sure you gauge the nail space left for your cute red hearts later on. 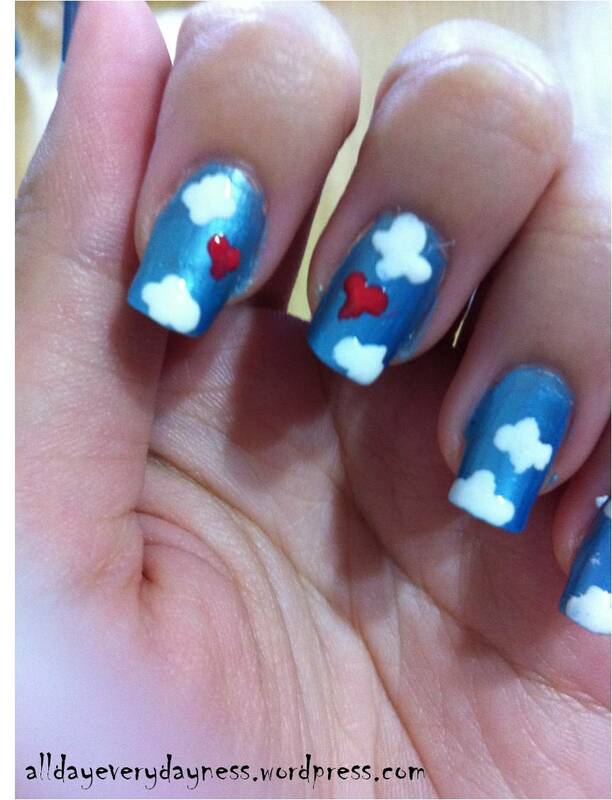 If you nail is a little tiny; then draw tinier clouds so that you have enough space to add on hearts. Now come to the designing of the hearts! In the video, she just used the dotting tool to doodle out the hearts. But I can never get pretty hearts like hers. So here’s a trick: THE-3-DOT-RULE. A better picture of the heart so you can better understand and visualize. You know the 2 humps of the heart? Well, using your dotting tool, dot 2 dots side by side, and you have created 2 humps for the heart. 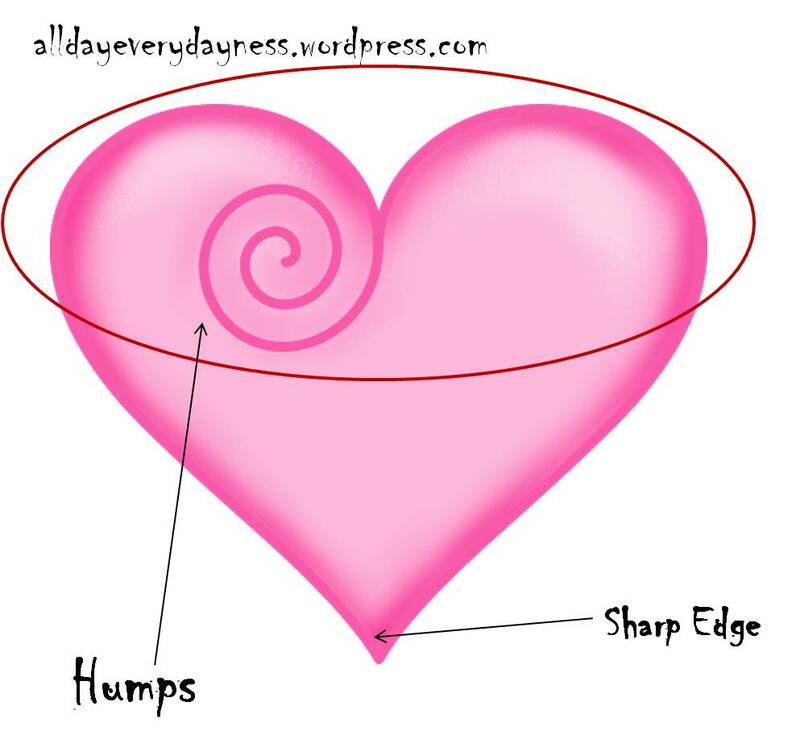 So how do you get the sharp edge at the bottom of the heart? Slightly lower but in the middle of the 2 dots you have earlier created; dot a smaller dot. Then using the sharp edge of the toothpick, if you are using 1, dip some red nail polish on the sharp edge of the toothpick and use it to outline the heart shape out. And there you have it! YOUR HEART! As I do not have a red polish; I replaced it with neon orange. At first, I thought the end product will not be as good, since it’s not blood red hearts but neon orange. But, I guess when the luminous orange came in contact with the metallic blue base coat, it sort of turn to a darker shade of red. So yeah- I’m happy with that! Yay, Happy with my outcome! Happy Vday! 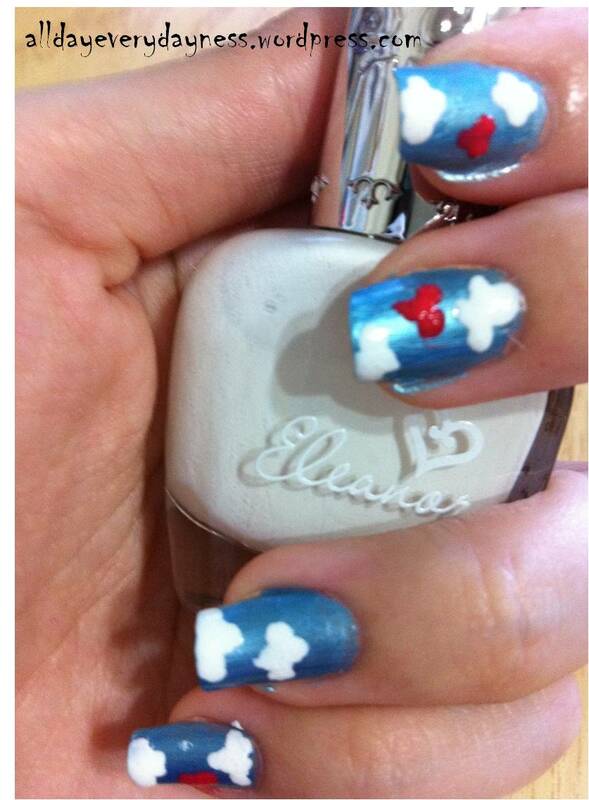 So hope you guys have a great and fun time doing this ‘I’m On Cloud 9’ nail art! If you have any other cool designs, or if you did this nail design, snap a picture and leave me a comment, I would sure love to see it! Have fun with nails, and I will see you pretty girls soon! 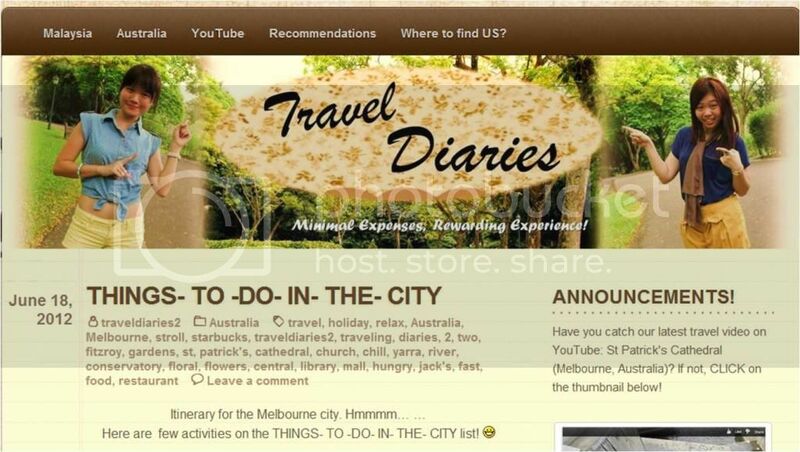 Leaving off with the video I have stumble across on YouTube. Go watch it!